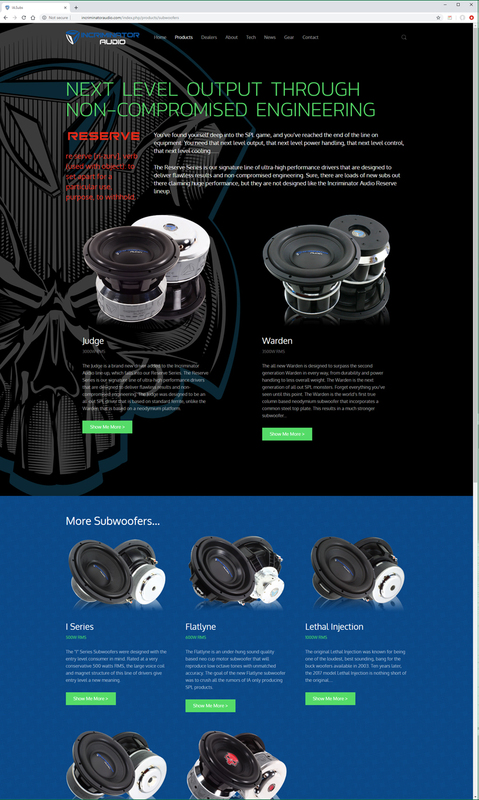 We have served Incriminator Audio's website needs since 2013. In this recent redesign, the site got a totally new look to match their new printed Product Catalog and usher in a new era for mobile users as well. 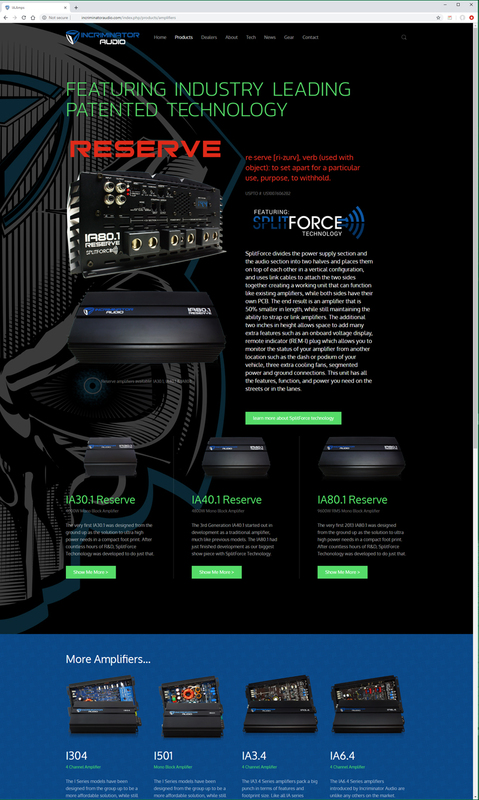 The new site features tons of new addons, including an all new adaptive template that will display the new website great on Mobile devices, Tablets, and Desktops, an all new enclosure specifications page, a brand new layout for the product pages, with in-depth literature on thier patented SplitForce technology. All the product photos on the site have been taken by LaFountain Design in a massive project since 2013. 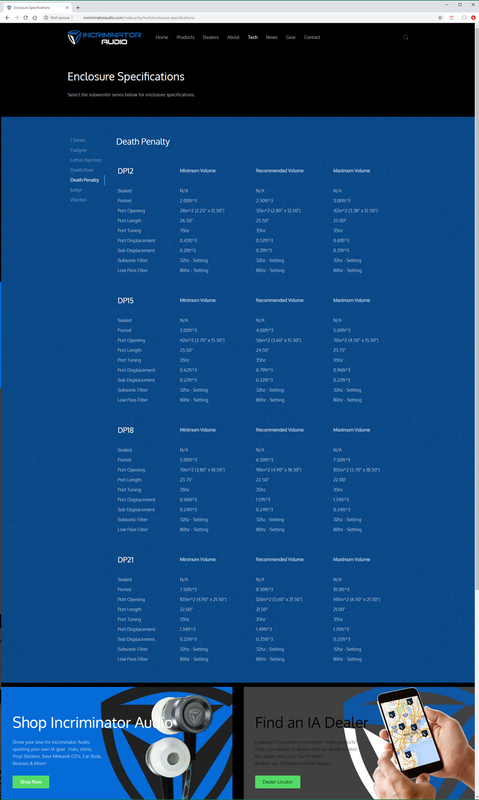 Which adds a very crisp look to the site. 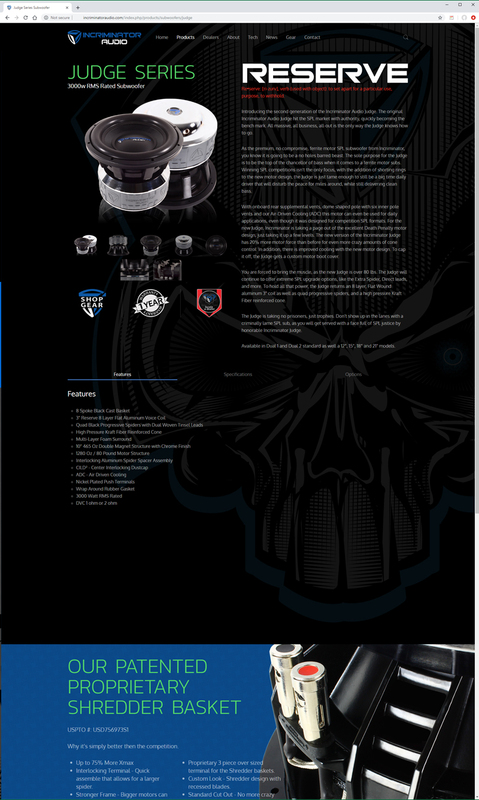 As usual, a dealer locator software plugin, along with a merchandise store for Incriminator has been added to this new edition of IncriminatorAudio.com. 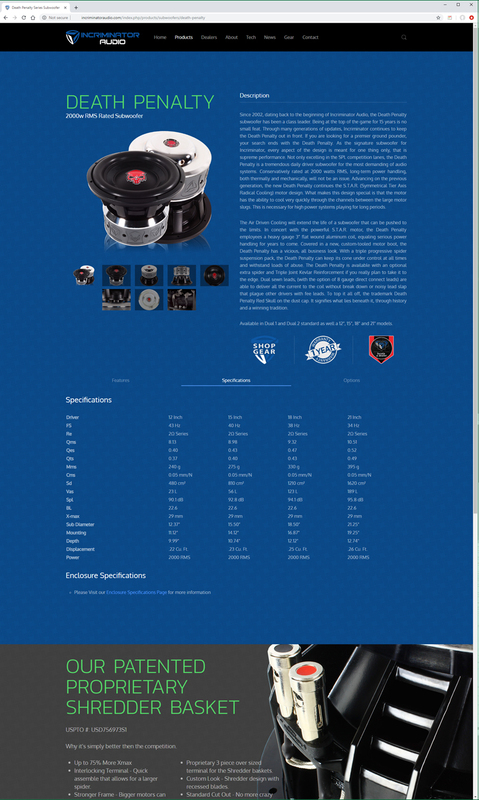 Customers and potential customers alike are sure to be pleased with this all new website with all the new Tech articles, information, and Mobile browsing capabilities. 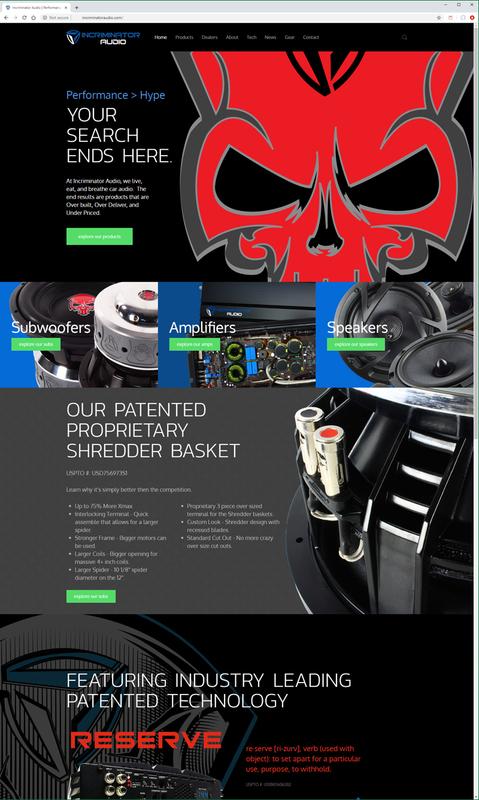 We hope you enjoy this site as much as we did building it!